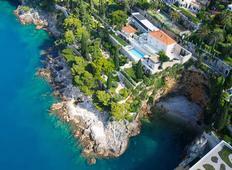 Luxury villa for rent in Split. For more information about villa rental send us a request. Luxury villa Split 2 is located in an elite suburb of Meja, just a few meters from the waterfront (Riva) and the sea. 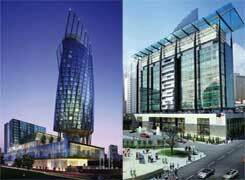 The facility is located at 100m from the forest park Marjan and Diocletian's Palace. The villa is the ideal choice for those who want to spend their holiday relaxing in a private luxurious environment near the city center, as well as those who want to enjoy the spacious and elegant areas of this magnificent piece of architecture. Luxury villa Split 4 extends over a land area of ​​1800m2. Despite the fact that this stone beauty practically located in the city center, it offers complete privacy for its guests. Villa is located in the Old Podstrana where are decorated bike and hiking trails, one of which has a beautiful view, ideal for photo enthusiasts. In the evening you can enjoy the taverns with traditional food and game of bowling. 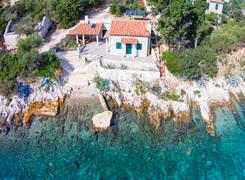 Luxury villa for rent in Kastela, immediately to beautiful beaches. The villa is located in a wonderful location and is very spacious. The villa has panoramic views of the sea and stay in it will give you a special experience. It is envisioned as an ideal getaway and provides all the necessary facilities for a pleasant and comfortable holiday.